Altium Limited (ASX:ALU) is the leading developer of unified electronic product development solutions. Altium make software that electronics engineers use to develop the products that are so much a part of our everyday lives. From car dashboards, life saving medical devices, washing machine controllers through to space satellites, Altium's software has enabled electronics engineers, designers and developers to create more intelligent and innovative electronics faster. 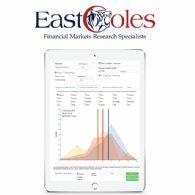 The 2017 East Coles Corporate Performance Research has been completed and the Top 10 Finalists from the S&P/ASX100 for the &apos;Best CFO&apos;s&apos; category for 2017 (not in ranked order) are: APA, BTT, CTX, JBH, JHG, MQA, QUB, TPM, WES. The Top 10 Finalists from the S&P/ASX101-200 for the &apos;Best CFO&apos;s&apos; category for 2017 (not in ranked order) are: A2M, ALU, BAP, CGC, FPH, GUD, MTR, MIN, RWC, SDF. The 2017 East Coles Corporate Performance Research has been completed and the Results are in. The Top 10 Finalists from the S&P/ASX100 for the &apos;Best Companies&apos; category for 2017 (not in ranked order) are: AGL, AMC, APA, BTT, CSL, JHG, RHC, TCL, TPG, WES. AUDIO: Altium Limited (ASX:ALU) Emma Lo Russo joined Altium in 2004 to advance through a broad range of roles including serving as Chief Operating Officer. Emma Lo Russo currently holds the role of President & Chief Operating Officer at Altium Limited and is responsible for the management and development of the entire Altium organization.